Of course change has always been with us. The list of corporate casualties is a long one: Kodak, General Motors, Sears Roebuck, US Steel, Borders, Pan Am, to name a few. But they represented a slow descent to the bottom. Today’s digital environment is more disruptive than ever, with sudden revolutions that can change the rules of success almost overnight. Witness the rapid demise of Nokia and Blackberry, the two giants of the smartphone industry, in the wake of the 2007 launch of the iPhone. “Welcome to the Exponential Age,” as Robert Goldman, chairman of the International Medical Commission, said. De Geus’s prediction was based on Darwinian principles. The life expectation of a species is dependent on its ability to generate favorable variations – those that will enable it to flourish as the environment changes. In nature this happens randomly over numerous generations. The “survival of the fittest” signifies those variations best suited to the shifting environment. For organizations to survive, however, they must generate favorable variations purposefully within their lifetimes. They cannot rely on the genetic lottery. Here we return to de Geus’s concept of a “living company.” In an increasingly turbulent world, the crucial life-sustaining competency is learning how to win at learning. 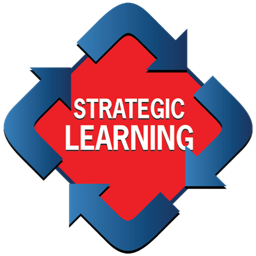 Executives appear to recognize this imperative and frequently exhort their companies to become “learning organizations.” Still, many businesses fail to instill the right practices for developing a thriving learning culture. In my experience, the following five precepts have proved to be powerful drivers of organizational learning. Learning is a demanding pursuit. The human brain typically comprises about two percent of our body weight, but consumes roughly 20 percent of our metabolic energy – more than any other organ. There are many ways to deploy that energy. To be strategic, organizational leaders must direct these intellectual resources toward the right goals through a process of guided learning. By far the most advantageous learning is outside-in. This means incessantly honing practices to achieve a superior understanding of the external environment before looking inward. Research done by Unilever, the Anglo-Dutch consumer products giant, confirms the primacy of understanding customers. Their investigation concluded that customer centricity, not operational efficiency is a firm’s main source of competitive advantage. The winning way is to turn the learning about customer needs into a collective obsession. Shortly after I became an American citizen, my son and daughter finished school. Where I was raised in South Africa these events are exclusively called a “graduation.” This suggests the end of something. But in the US these milestones also have another name, a “commencement”, meaning the beginning – or at least the continuation – of something. This exactly conveys the essence of learning as a way of life, not a once and done enterprise. In too many companies, learning is treated as a seasonal occupation, something that is given its due at strategy time, and then brushed aside as they turn their attention back to operational matters. Change won’t stop on the outside, so no company can afford to stop learning on the inside. Instilling learning as a habit starts at the individual level. A practice I recommend is to keep a learning journal. We continuously take in learning from diverse sources such as newspapers, books, conversations, and experiences. But these insights are soon lost in the ferment of everyday life. Research by the nineteenth-century psychologist Hermann Ebbinghaus shows that in the absence of counter measures the average person loses up to 80 percent of new information after 30 days. He recommended these antidotes to forgetting: Promptly record new learning; review these insights regularly; and apply them in practice as soon as you can. I have kept a learning journal since I was sixteen, and now have a number of these books. I regularly refer to them during times of reflection, and often draw on them in my teaching. Dr. Ash Tewari, the chairman of urology at the Icahn School of Medicine at Mount Sinai Hospital, goes a step further. He insists that everyone on his team keep a learning journal. Then at his weekly meetings he calls at random on members (including himself) to share their learning. Tewari has created a team of learners. He serves as a role model to leaders in every organization. Socrates, as we know, was the great exponent of learning through questions. His method was revolutionary. Before him, learning was mainly about mastering the art of rhetoric – demonstrating knowledge by making impressive speeches. Socrates turned this method inside out. Comparing his approach to that of his mother, a midwife, Socrates asserted that he sought not to give birth to an insight, but to facilitate its delivery. He showed that entrenched answers create fixed mental models and become substitutes for critical thinking. Inevitably these fixed ideas – and the organizations that cling to them – are overtaken by events. The right questions force us to challenge our underlying assumptions. They unfreeze us and open our thinking to new vistas. What often brings us down is the question we failed to ask. Just look at the tragic collapse of General Motors before it was rescued by the government. As their market share and profitability declined year after year, they obsessed over their cost disadvantages versus Toyota and in the process lost touch with their customers. Questions exploring the decline in customer satisfaction – the root cause of their market share collapse – were simply not pursued. A key part of a leader’s mission is to serve as the chief learning officer. This requires cultivating the practice of asking good questions as a driver of organizational learning. But there is an important caveat. Questions can also be used as weapons. These are the intimidating “gotcha” kind, designed to expose ignorance or incompetence. Such questions shut down discussion and produce fear and evasiveness, not learning. The key is to promote the habit of asking non-threatening questions that invite exploration and dialogue, and that demonstrate an honest interest in the answers. Decision-making is not the pursuit of certainty; it is about choosing actions in the face of uncertainty. It involves taking risks. In today’s turbulent environment, the outcomes are harder to predict than ever before, and the chances of being wrong are rising. Nevertheless we know that unless organizations are prepared to take risks, they cannot expect to reap rewards. Faced with this challenge, many CEOs are urging their employees to take “prudent risks.” But failures are often punished, resulting in the opposite effect – a culture of risk aversion. I have found that it’s fruitful to look at this issue differently. Risk-taking is one side of a coin; the other side is mistake-making. A certain percentage of mistakes is the inevitable by-product of risk-taking. Although it sounds counter-intuitive, encouraging sensible risk-taking is all about how an organization deals with the reverse side of the coin – mistake-making. There are dumb mistakes and smart mistakes. Dumb mistakes are repeating your own mistake, repeating someone else’s mistake, betting more than the organization can afford to lose, and acting without a strong enough case. These are unacceptable. But what’s left over are smart mistakes, under one crucial condition: that the value of the learning is greater than the cost of the mistake. This approach shifts the culture from blaming to learning, and forces the organization to define, measure and act on what has been learned. This is the way science advances. Scientific experimentation produces progress based on the strict premise that if a failure is buried or denied, we cannot learn from it. It is chilling but noteworthy that every time there is a plane crash, aviation gets safer. The industry is relentless in its quest to identify the root causes of failures. Once the diagnosis is complete, the learning is rapidly disseminated across the entire industry. The steadily improving statistics on airline safety testify to the success of this approach. In the words of futurist Paul Saffo, “Our dilemma is the growing gap between the volume of information and our ability to make sense of it.” Our problems accumulate at a rapid pace. How can we make creative decisions in such an intense environment? The remedy lies in understanding how our brain works. The evidence is clear. When we have been hammering away at a problem, the secret is to not go on hammering. It is to withdraw and change our mental state. Nikola Tesla is famous for the invention of the induction motor, a motor that can run on alternating electric current without rapidly burning out. But it was a huge struggle getting there. Tesla slaved obsessively for years with countless designs but was stymied and gave up in despair. Some months later, while walking in a Budapest park, the answer flew into his head unbidden. In that unexpected instant, the tremendous industrial value of alternating current was born. This could never have happened without his prior mental engagement – there is no substitute for hard work – but the breakthrough came when a different set of stimuli opened his mind. Some years ago, I worked with Aviva, a UK based insurance multinational. The chairman had instituted the practice of quarterly two-day retreats away from the office for the executive team. I was invited to facilitate some of these meetings and was deeply impressed with what I saw. The team discussed market trends and their implications, examined alternative scenarios, reevaluated their priorities, listened to an outside speaker, and went on walks together. They also bantered and had a bit of fun along the way, creating a relaxed and open atmosphere. Invariably this process yielded unexpected insights and a firmer strategic footing for the business. Do these retreats slow organizations down? Not at all. A good investment in time for reflection actually speeds them up. The most effective mental process in a chaotic world is: stop, look, go. Retreats of this kind also yield an enormous social dividend. Thomas Friedman, in his latest book, Thank You for Being Late emphasizes how spending time together and sharing perspectives helps teams develop understanding and trust, vital elements for greater collaboration and teamwork. In my seminars I ask executives which of these challenges is hardest to master. A chorus of agreement invariably comes back. “The ability to unlearn!” This limitation is the biggest barrier to adult learning, and the most dangerous in today’s changing world. The psychologists call this the “confirmation bias” – our tendency to adhere to our preconceived notions regardless of evidence to the contrary. We tend to argue backwards from our biases. As the saying goes, letting go is hard to do. There is a story – possibly apocryphal – that as an experiment scientists placed fleas in a glass jar. They eagerly jumped out. The fleas were returned to the jar and a lid was placed over the top. When the fleas jumped up, they hit the lid and fell back. After a period the lid was removed, so the fleas were once again free to jump out, but none did. For the rest of their lives they never again jumped higher than the imaginary lid. While this might or might not be true of fleas, as humans we too often allow our learning to be conditioned by an imaginary lid of our own.